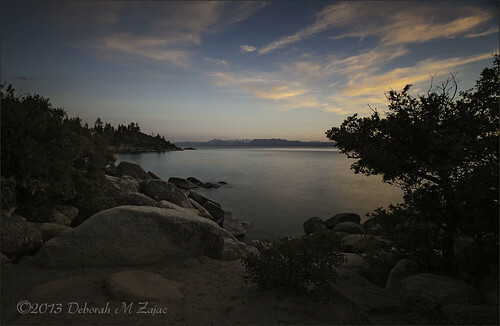 Sunset Lake Tahoe Nevada, originally uploaded by CircadianReflections Photography. My long time Flickr friend Jackie flew to Lake Tahoe for vacation, and being only 4 hours from me we worked it out so I could go up to hang out and meet face to face finally. We’ve been flickr, Yahoo group, facebook friends since Jan. 2009. I only had one full day to hang out. It was a lovely, but too short visit. I only hope we don’t go another 5 years before we see each other again. Here’s the link. It was a dreary, drizzly evening, but suddenly the skies cleared for us! I’m glad you finally were able to meet Jackie. I had the pleasure of meeting her and Lawrence in October 2011. We too, were blessed with a fabulous sunset at the Kaka’ako Waterfront Park. The muted colors are beautiful in this photo, Deb. That foreground is beautifully exposed too. Great work with those ND filters! Thank you so much Wayne! One day I hope to you and the group there too! 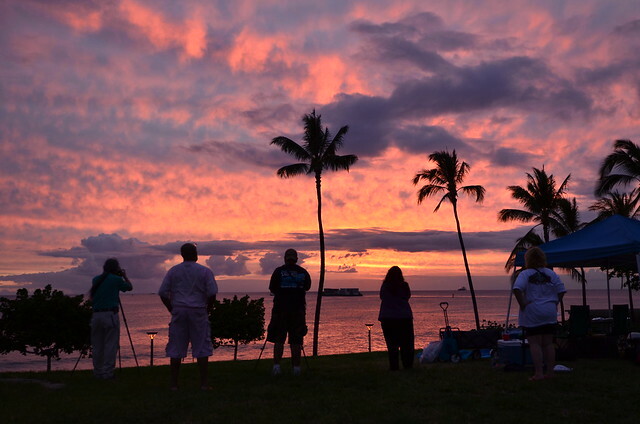 Have you posted your waterfront Sunset photo? I didn’t see it this morning. I’ll look again.